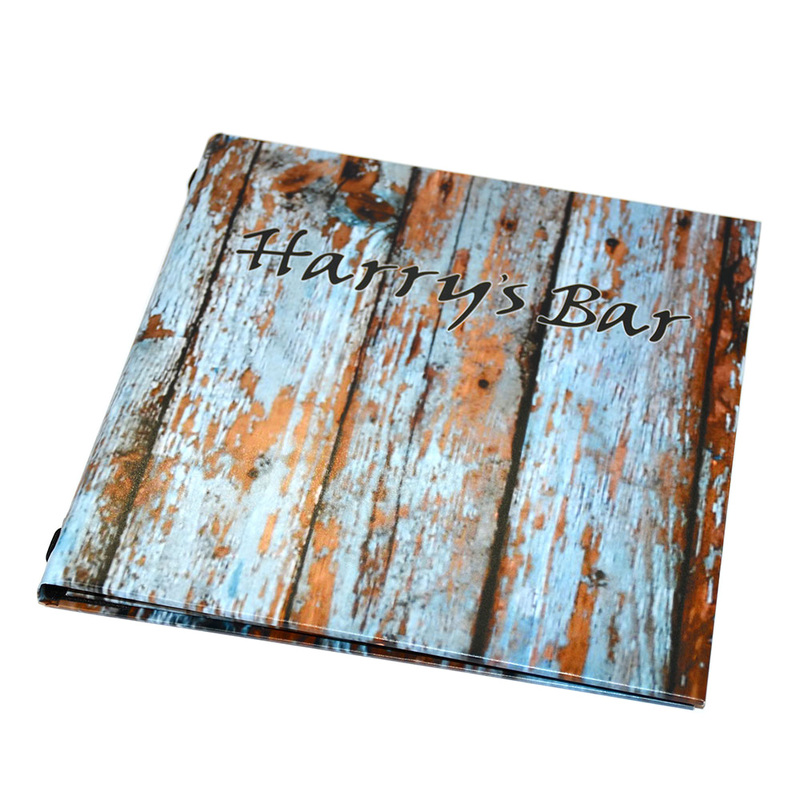 Full Colour Printed Menu Covers can be personalised with your very own logo, design, images and photographs. 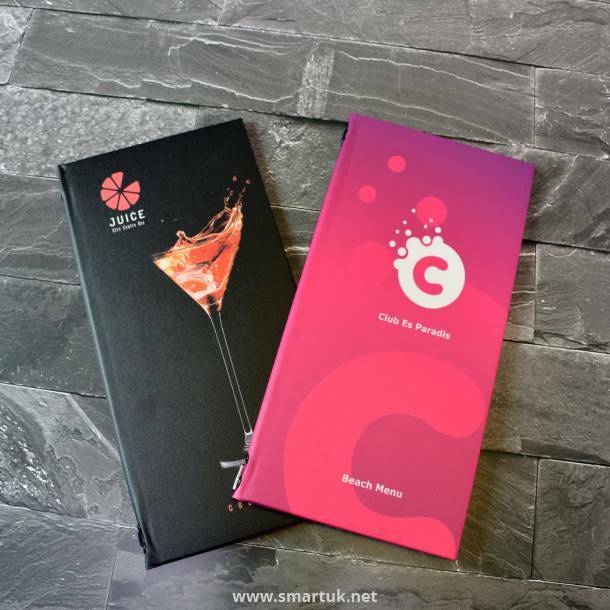 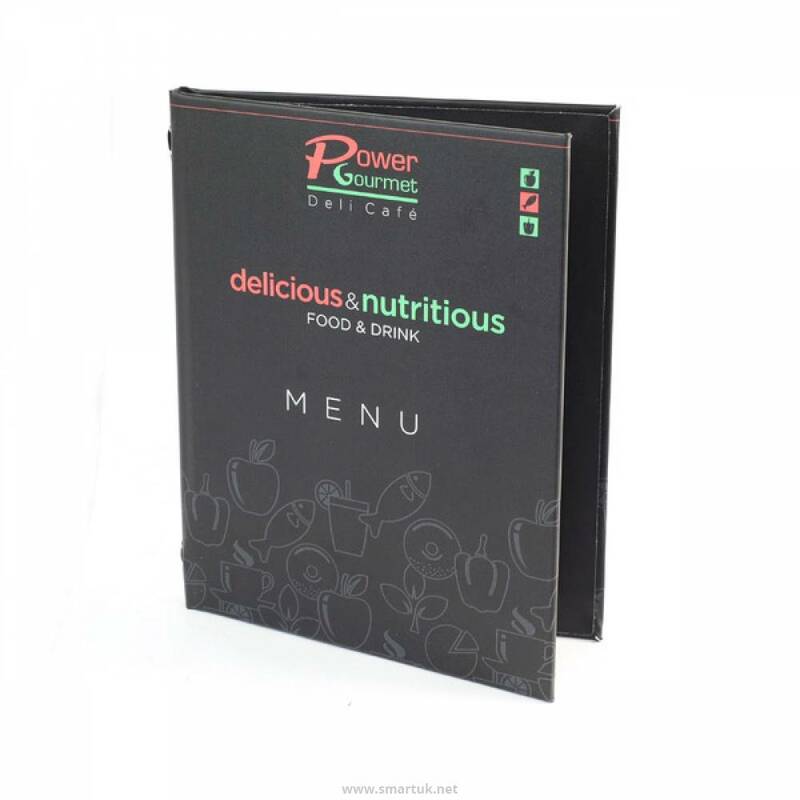 We print and manufacture these menu covers from a hard wearing vinyl material that can be matt laminated or gloss laminated and then wrap this around your desired hardback cover. 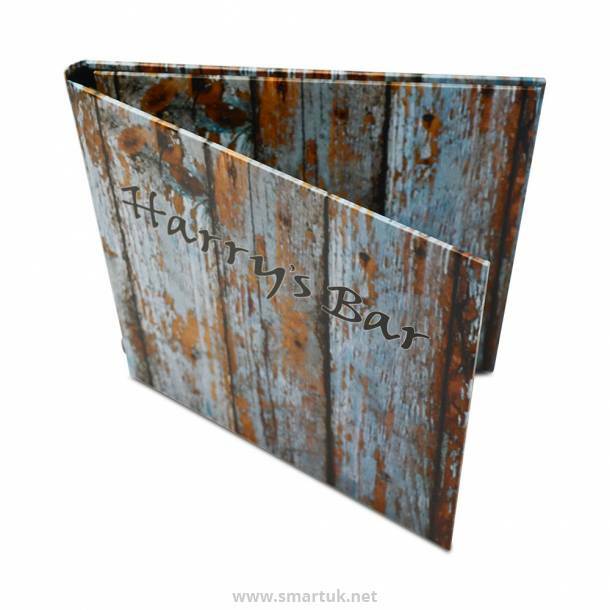 This way, not only do you receive a proper, sturdy menu cover, but it is 100% personalised with your own artwork or photographs. 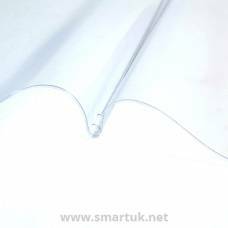 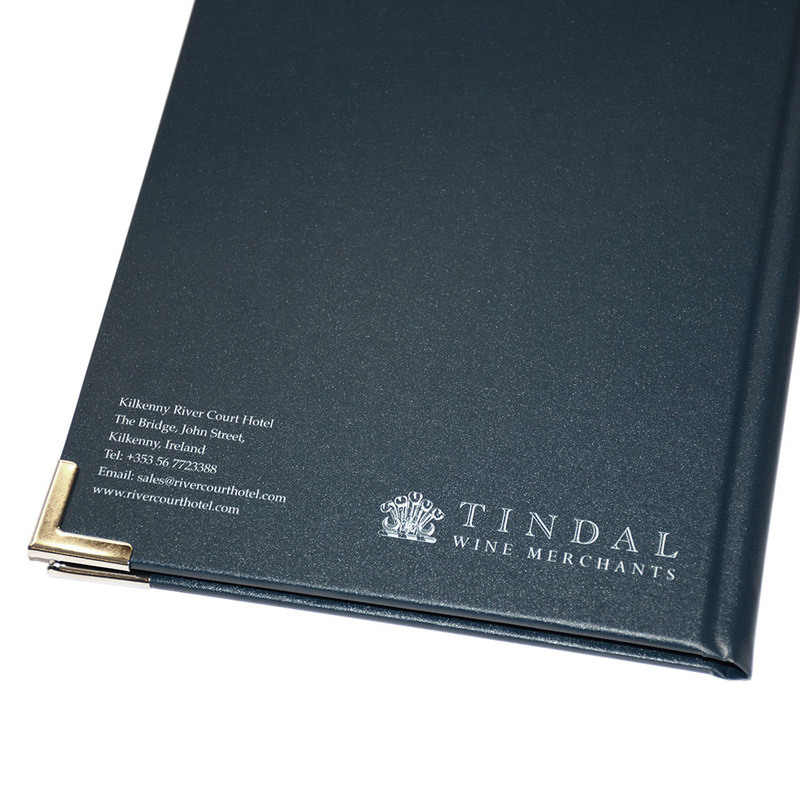 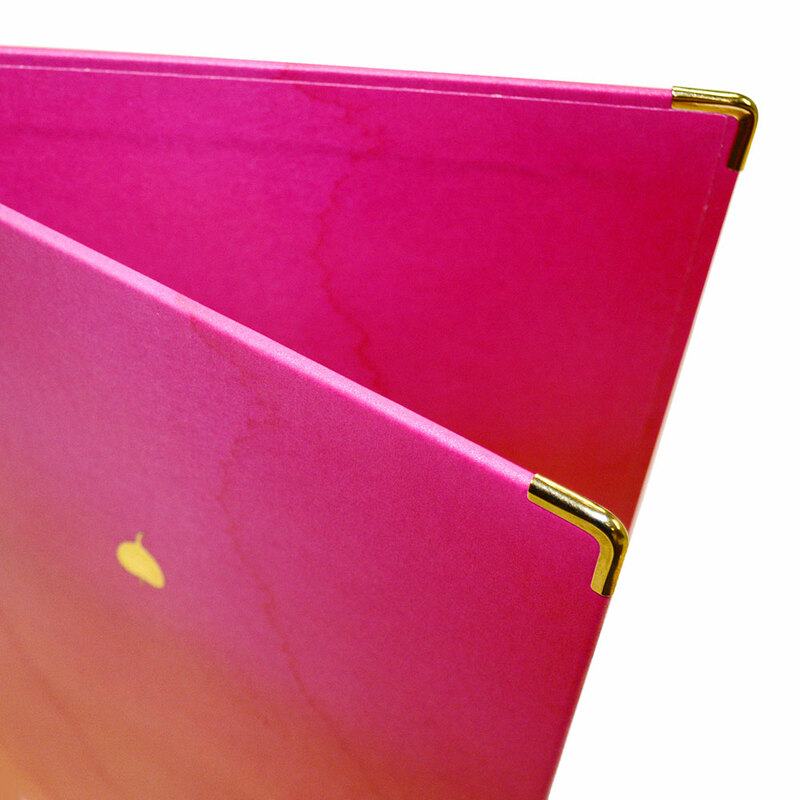 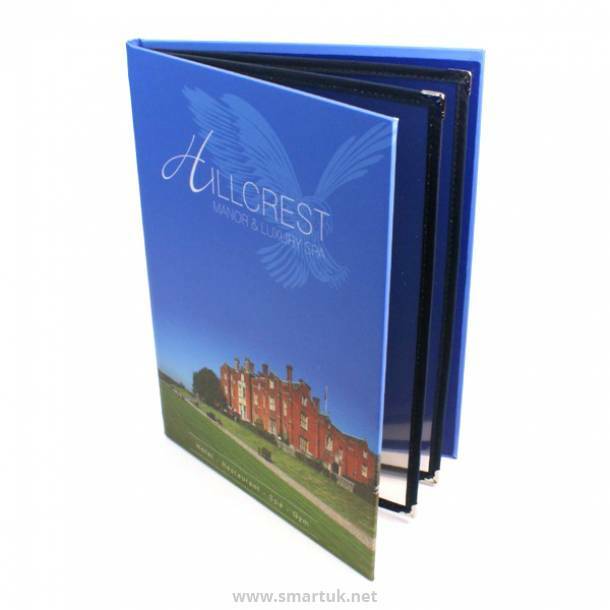 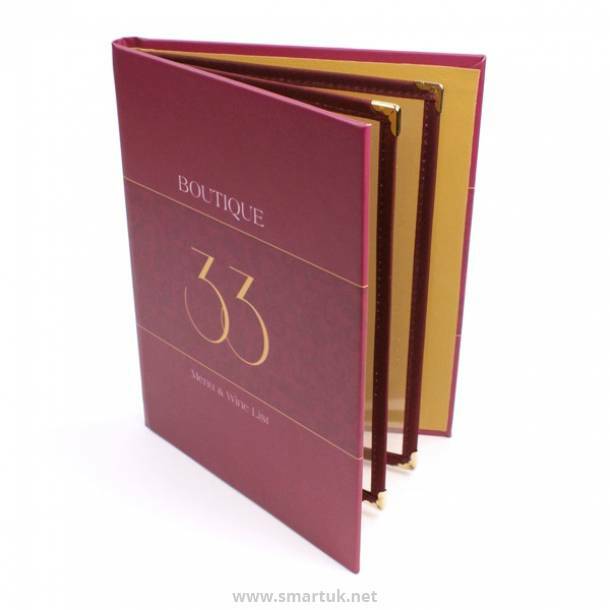 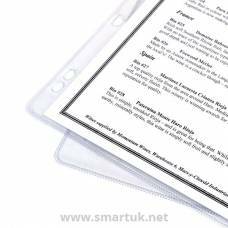 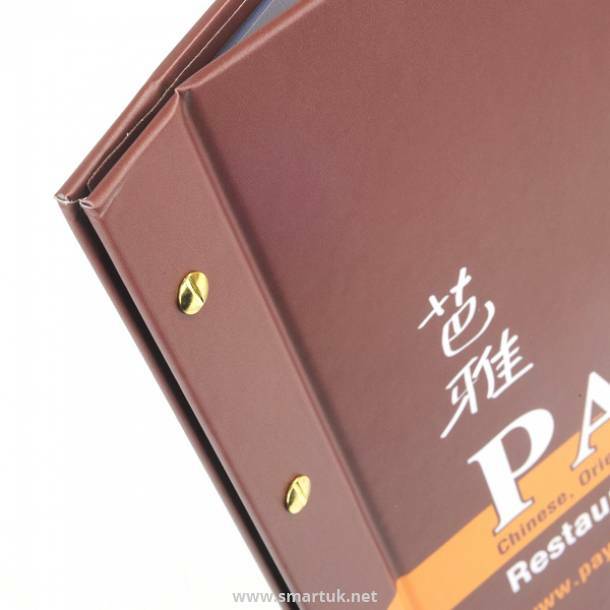 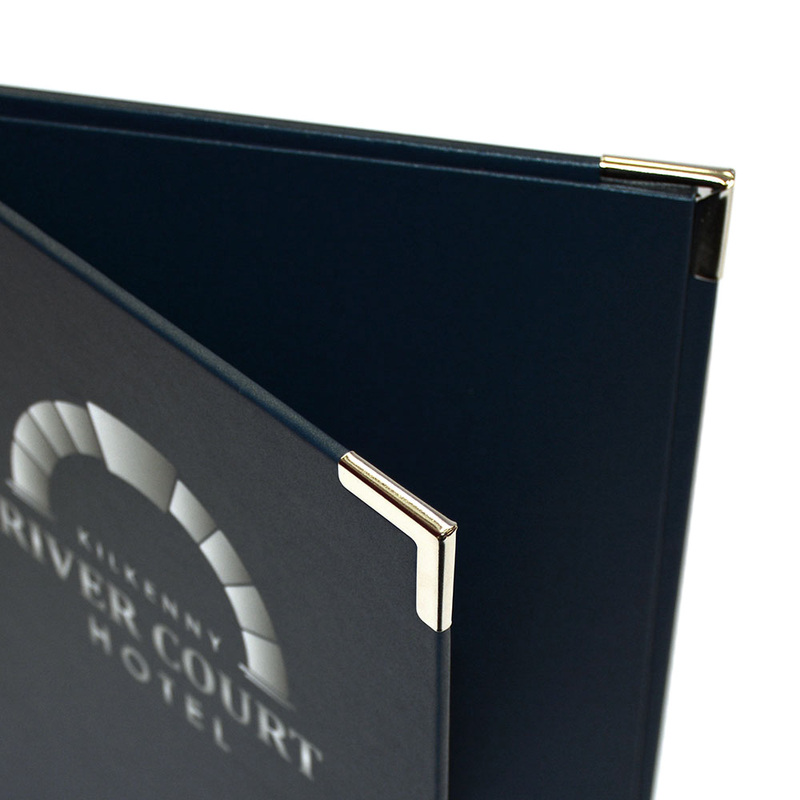 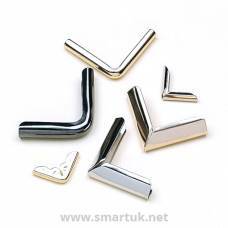 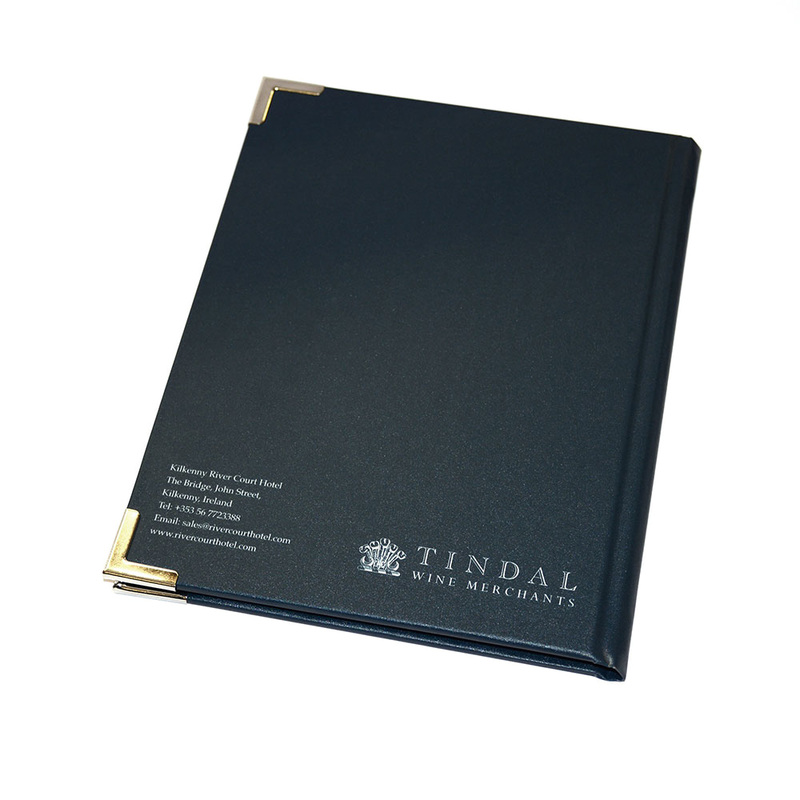 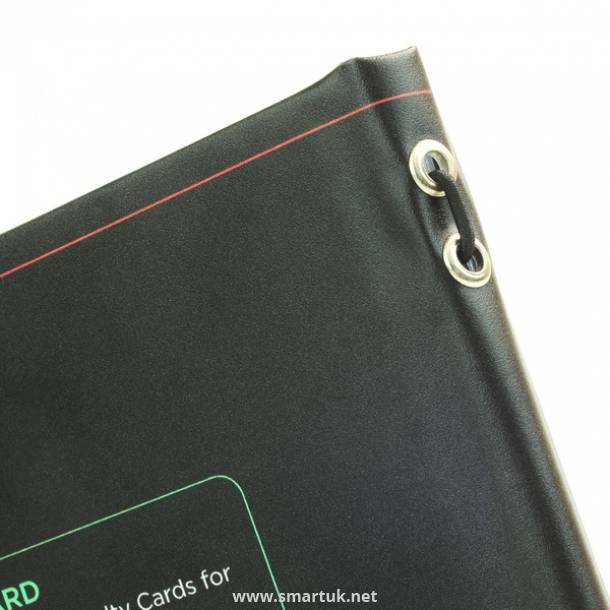 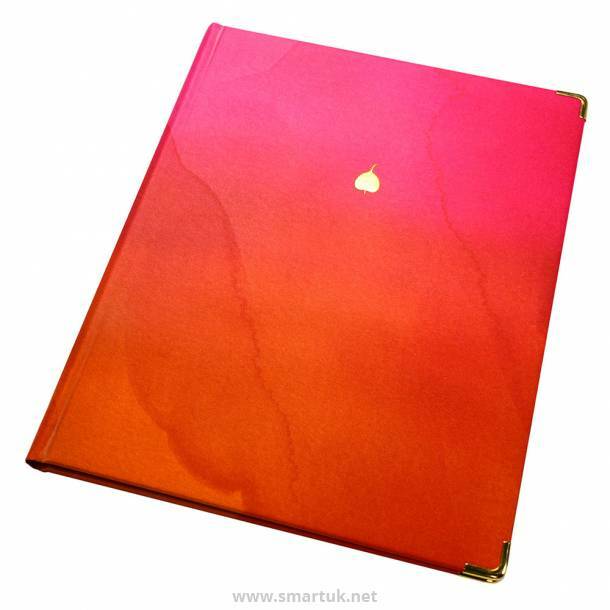 With this menu cover product you can choose from a range of fixings for the inside, from a simple cord fix, to PVC pockets, to a ring binder; the beauty being that the vinyl is a hardwearing material that can be bound to whatever menu cover you desire. 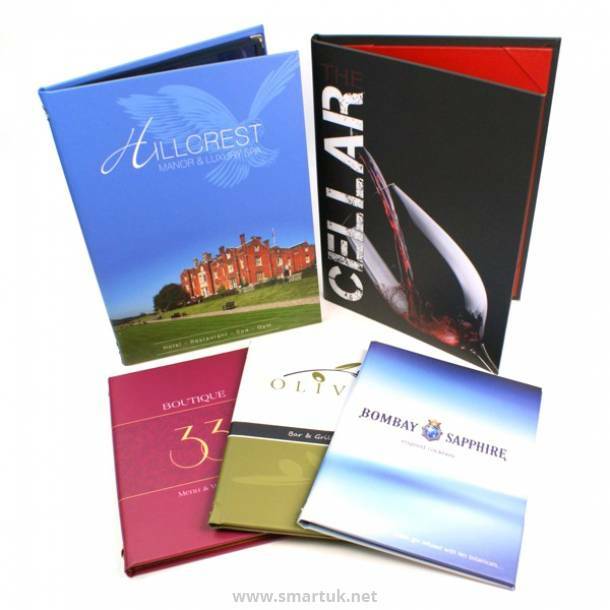 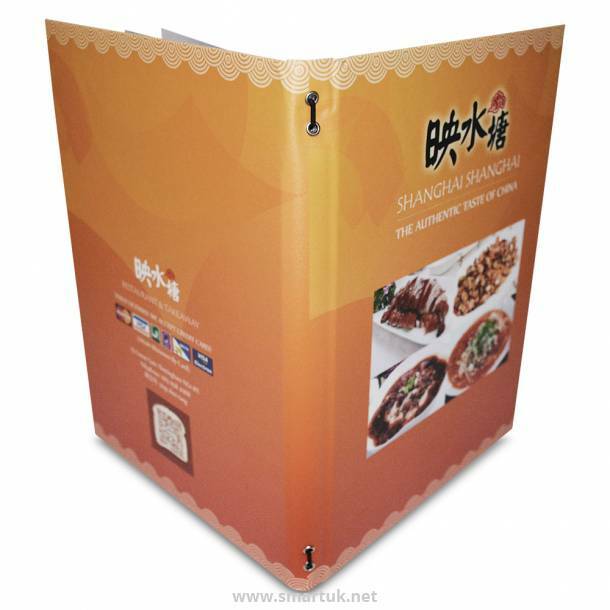 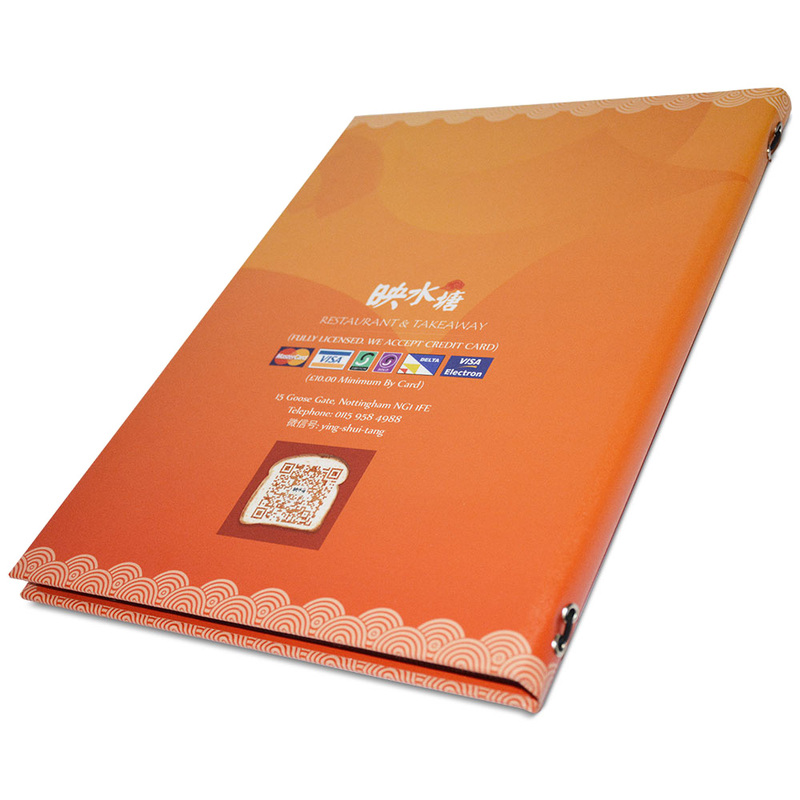 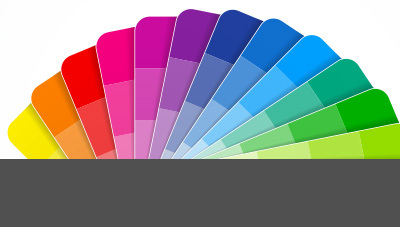 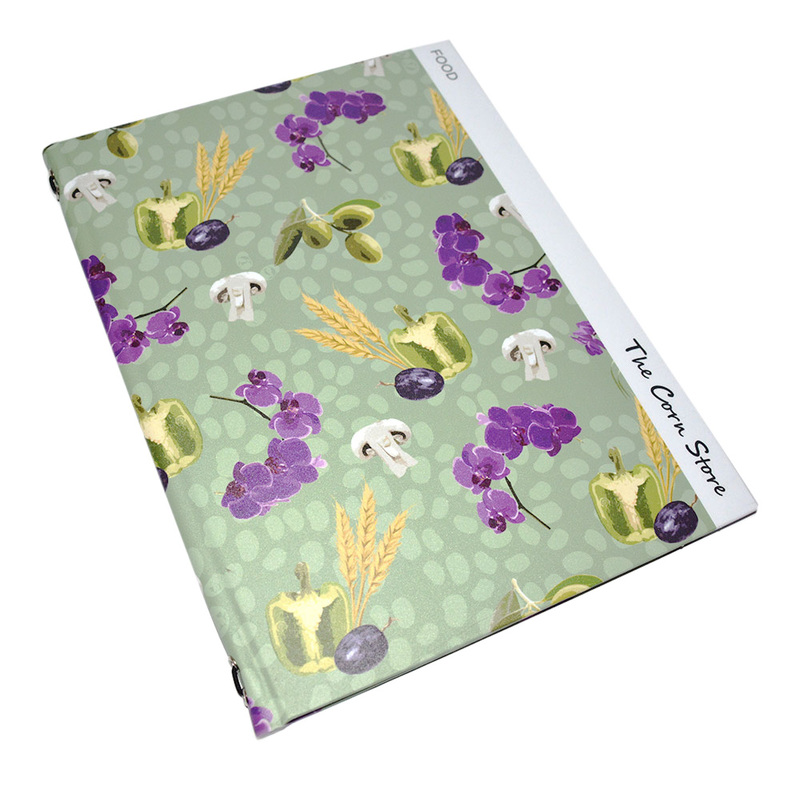 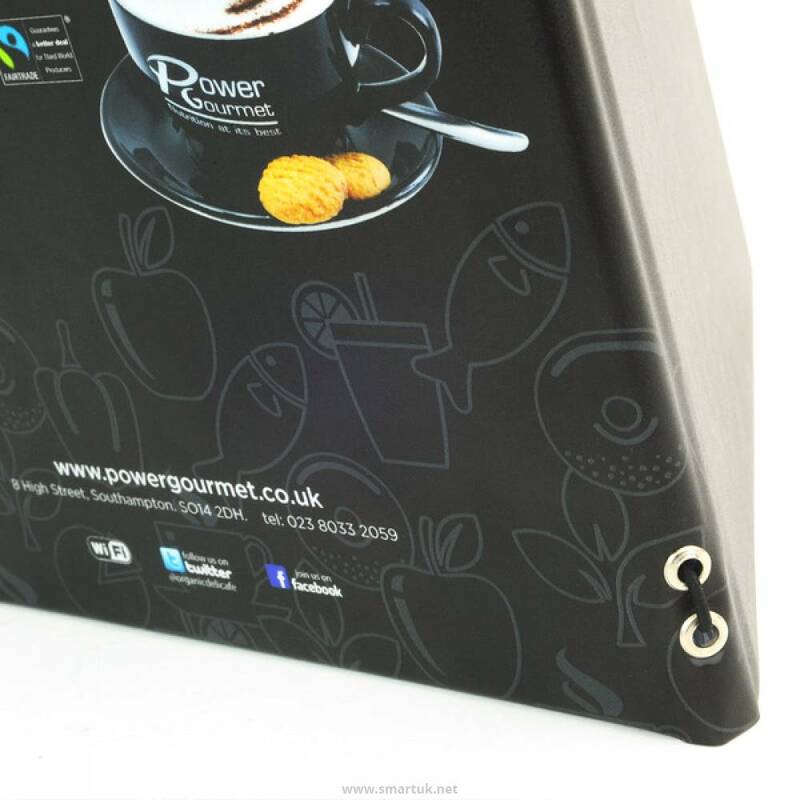 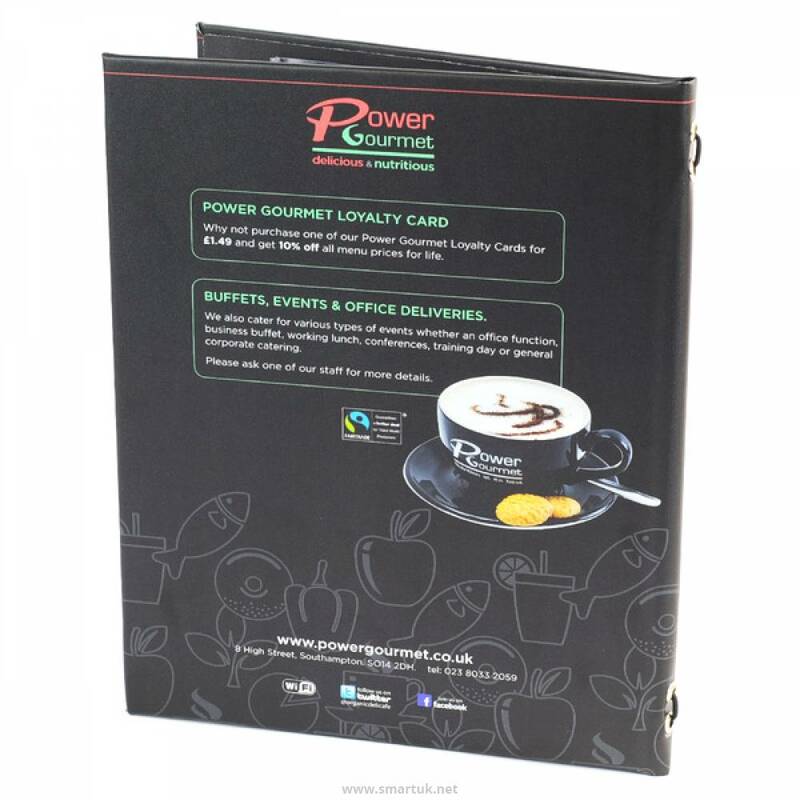 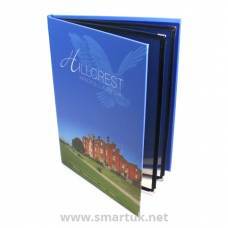 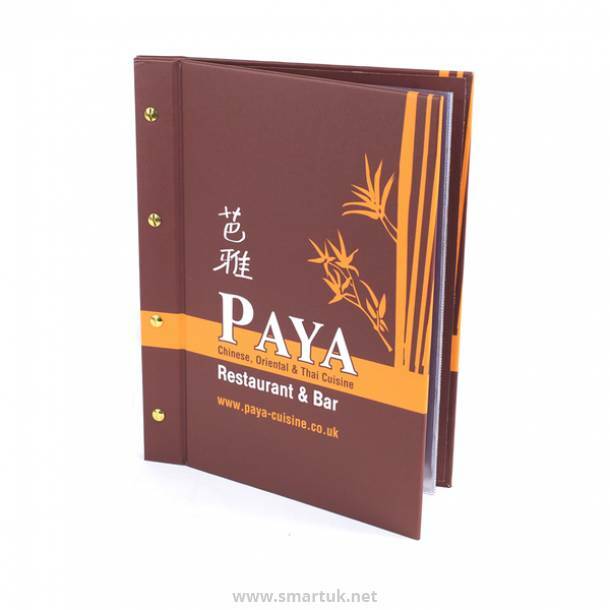 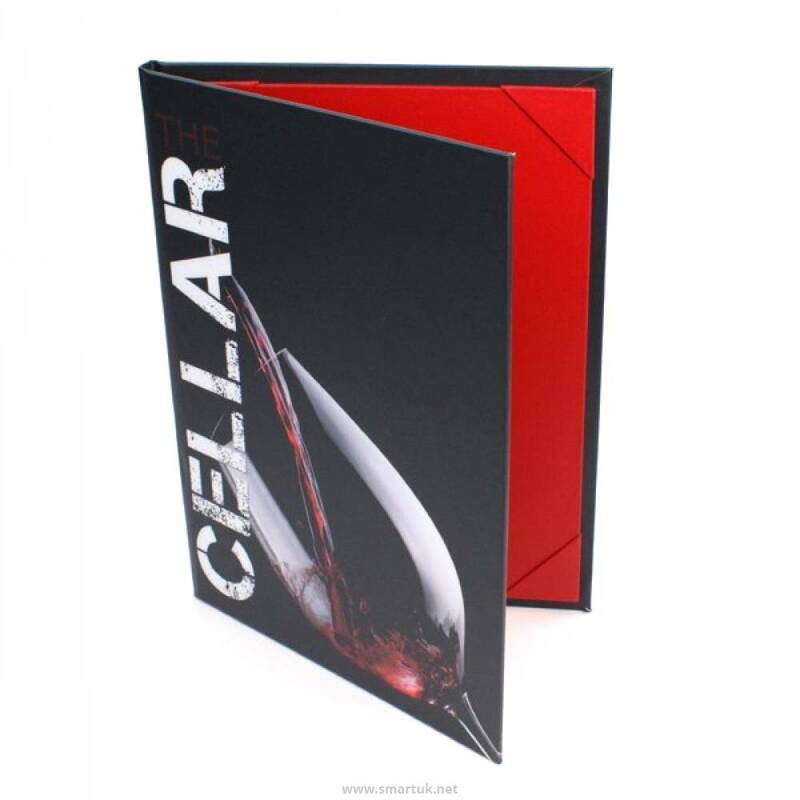 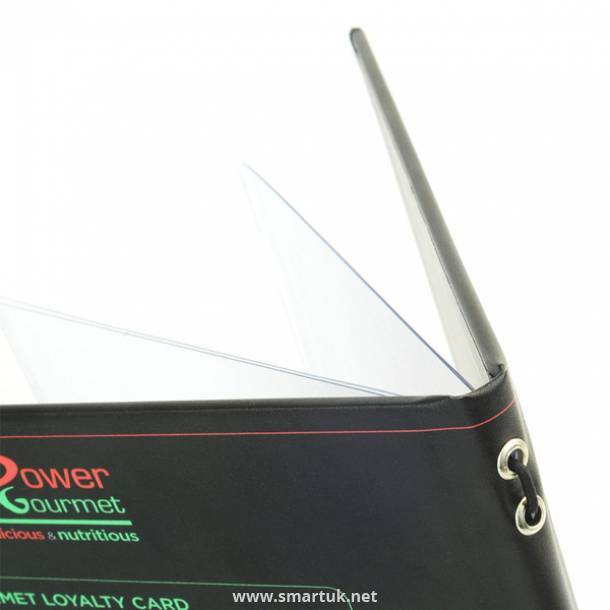 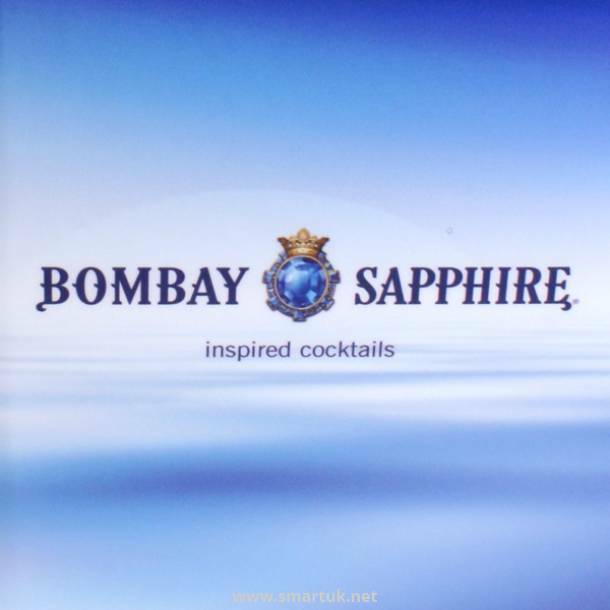 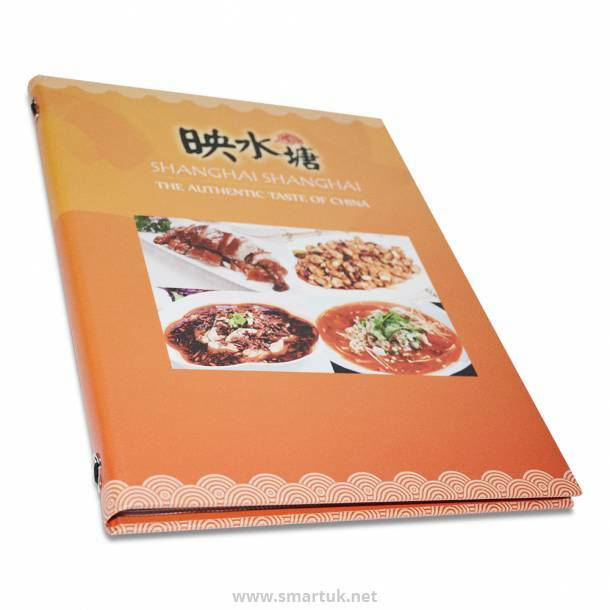 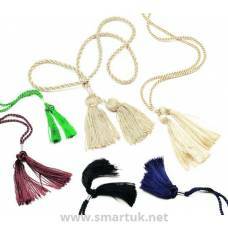 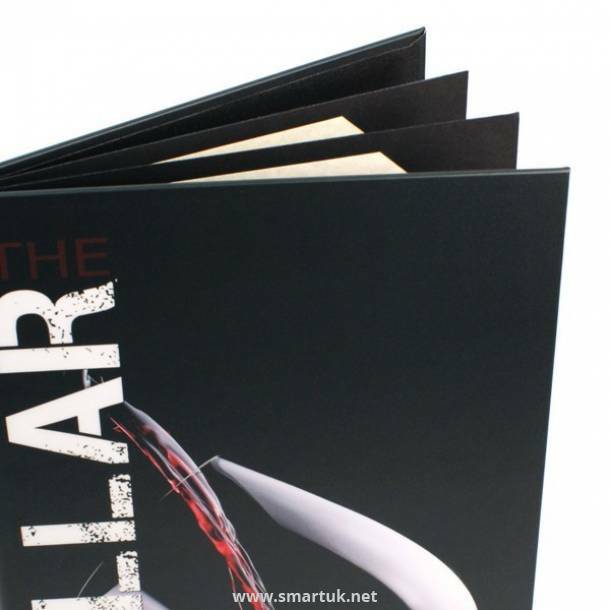 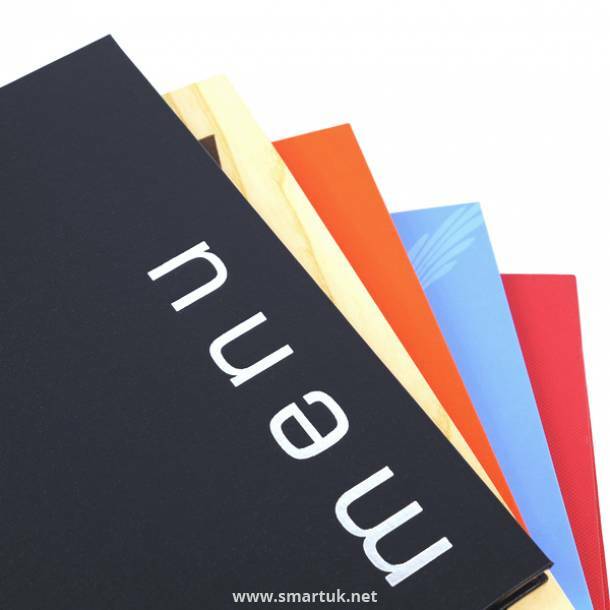 We can line your full colour printed menu covers in a colour to suit and also add metal corner protectors if required. 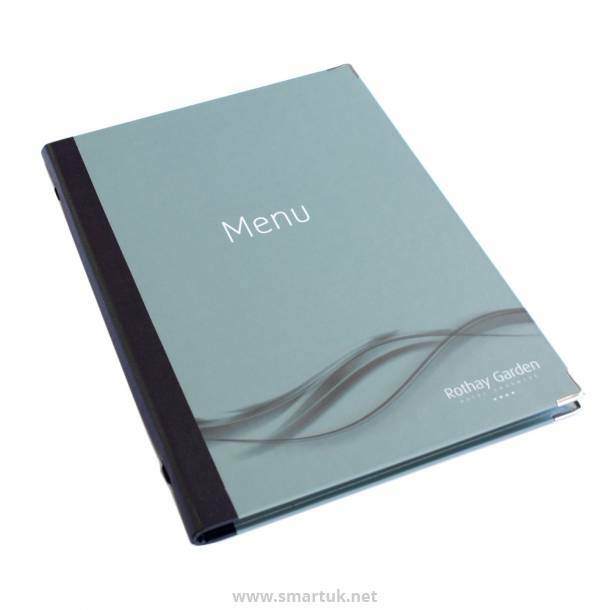 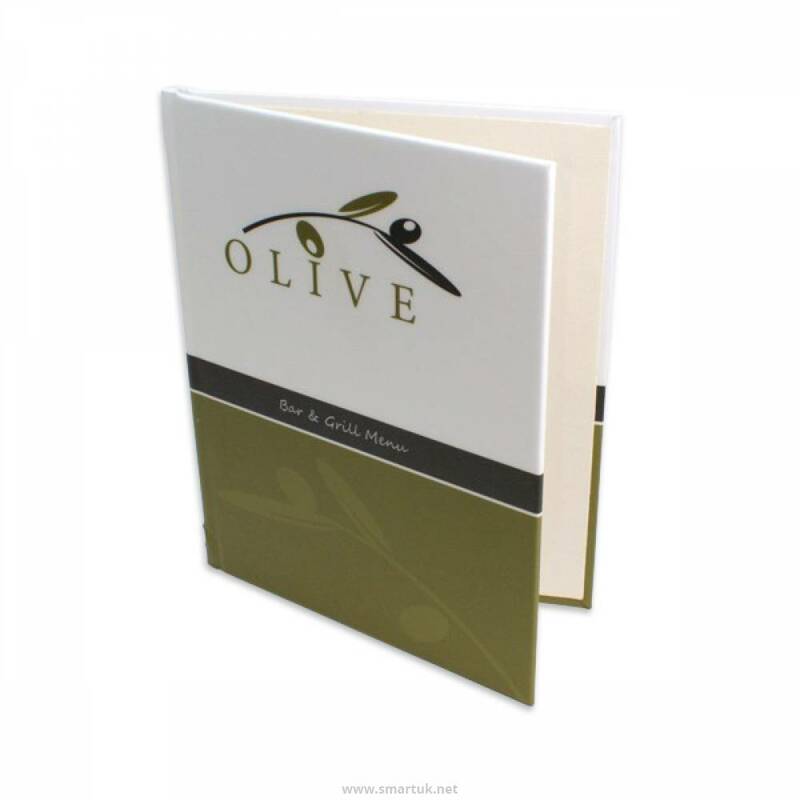 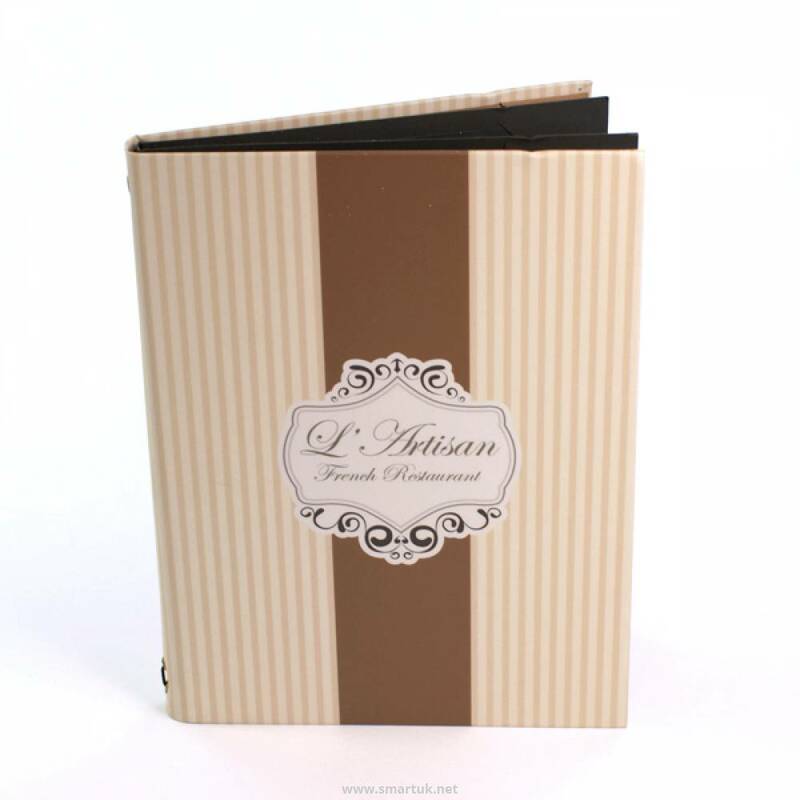 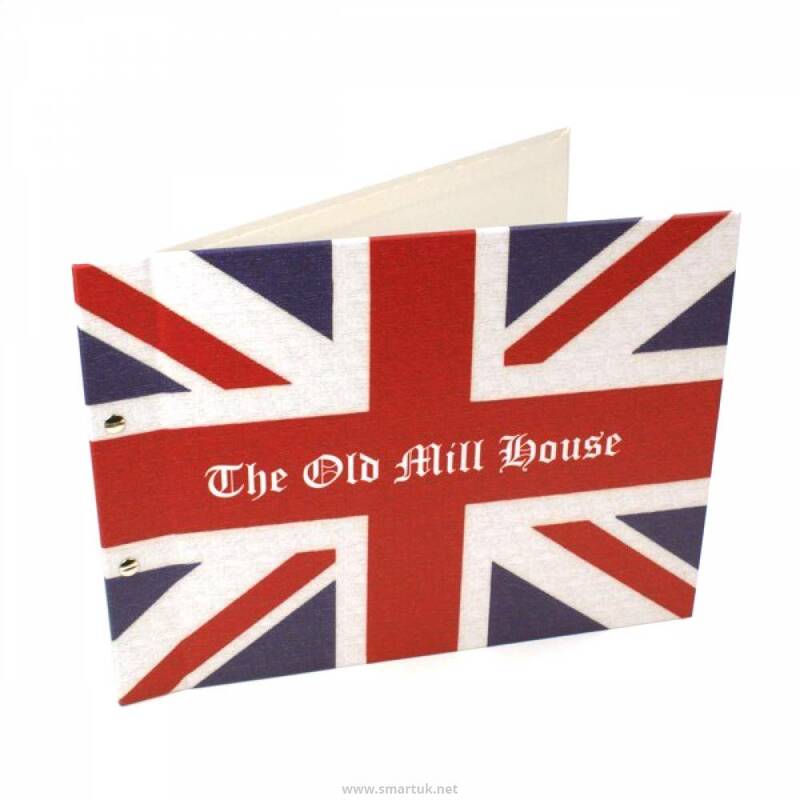 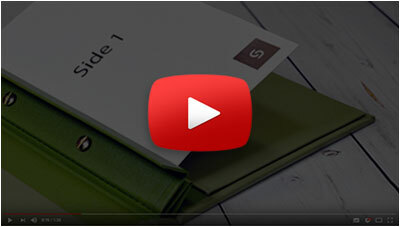 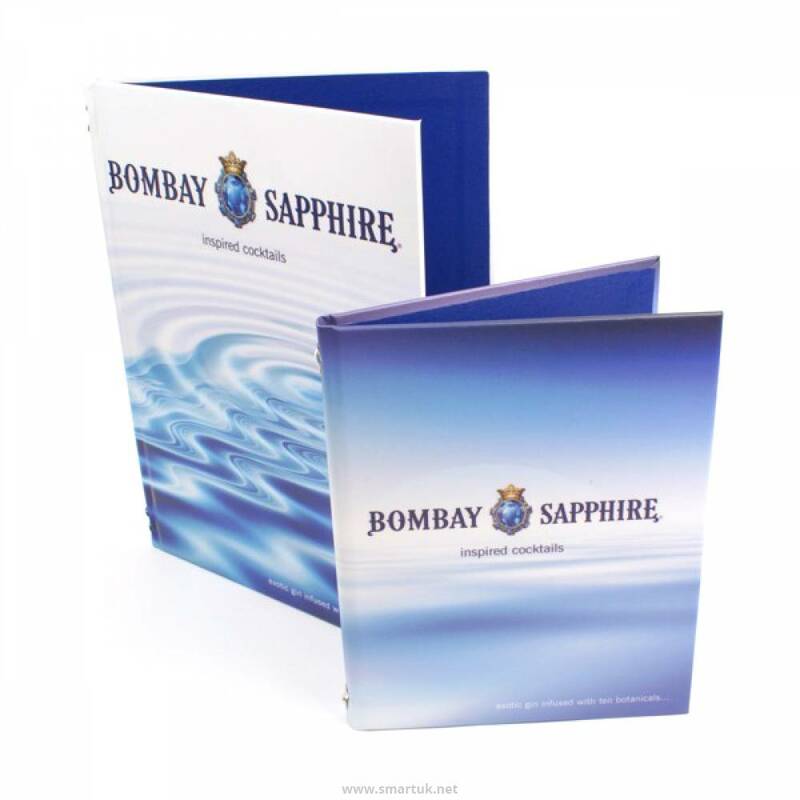 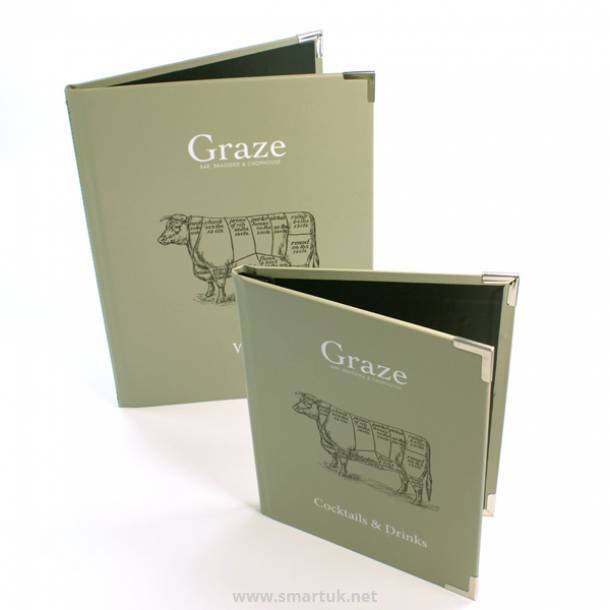 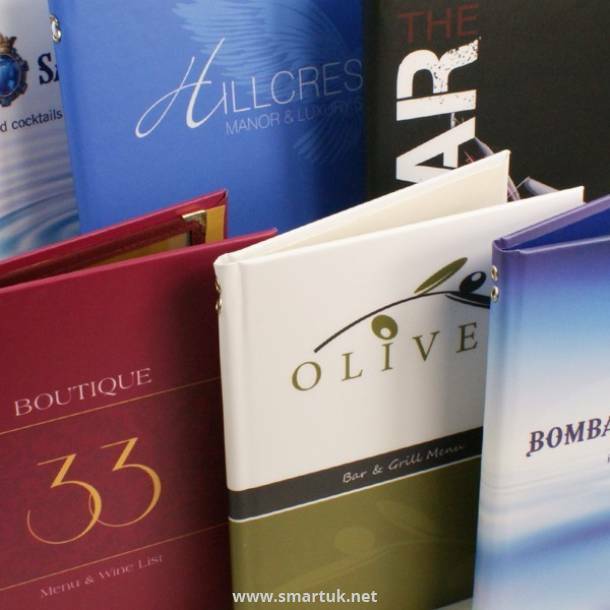 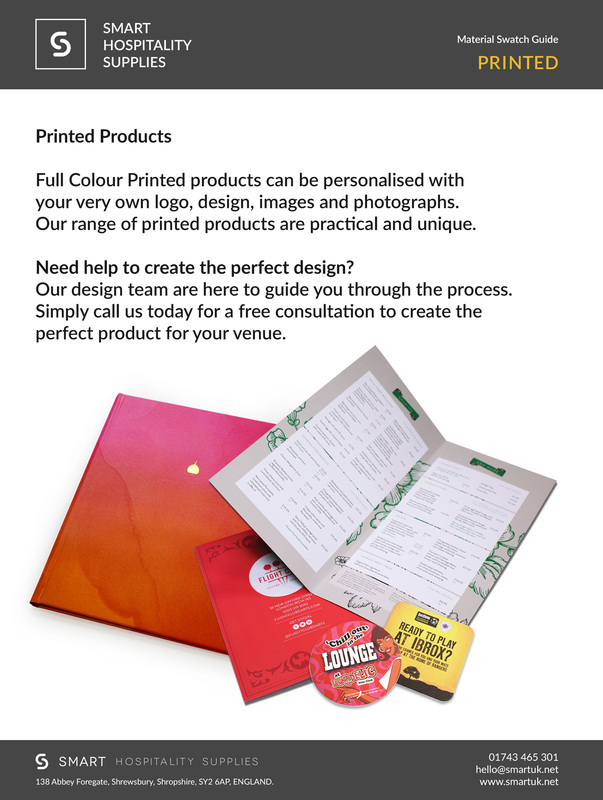 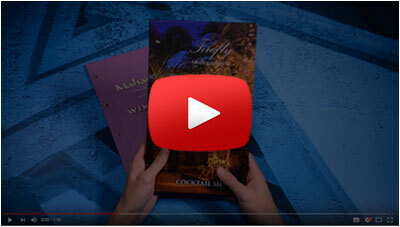 The only limitation with full colour printed menu covers is your imagination! These printed menu covers are practical and unique, what more could you ask for! 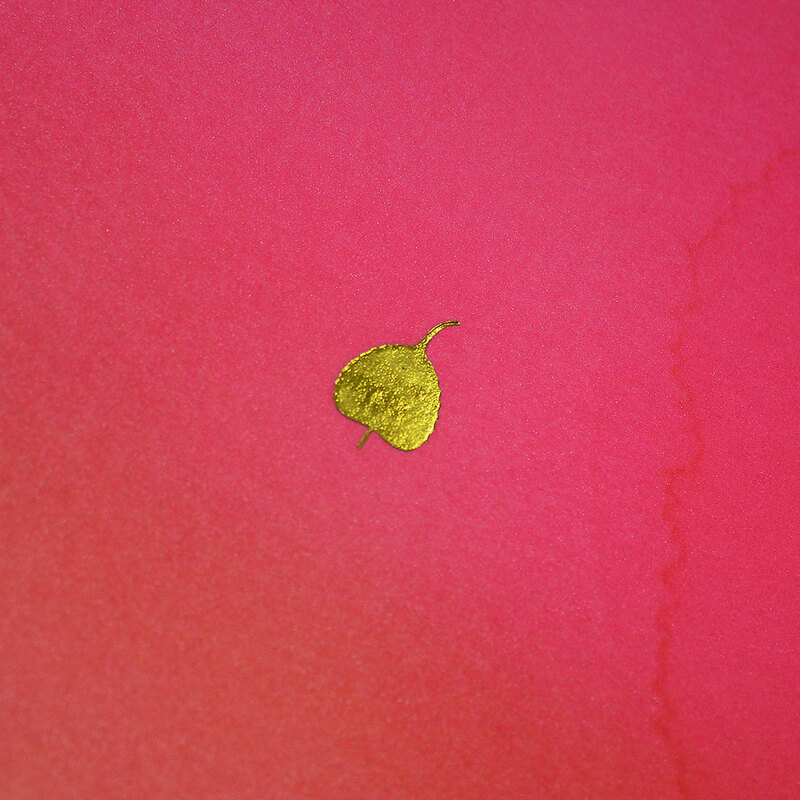 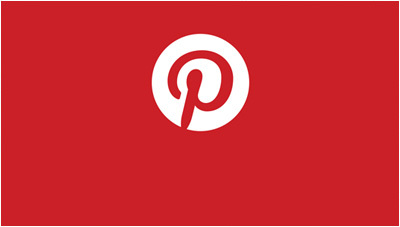 Hot Foil Blocking on Top of Print: Standard Colours Gold, Dull Gold, Silver, Metallic, Copper, Gun Metal, Rose Gold Black, Red or Purple Foil.